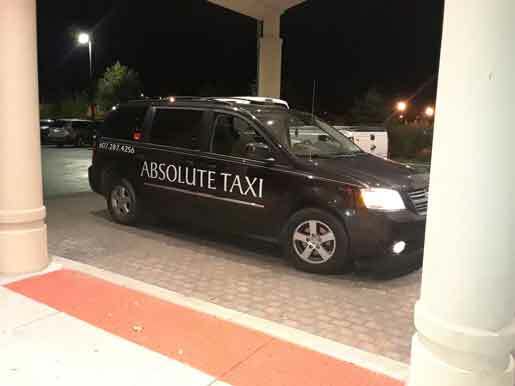 Welcome to Absolute Taxi & Airport Transportation! Our staff are dedicated to giving you reliable and courteous Taxi & Airport Transportation. As the premier travel solution in the area, we treat our customers like family and we're known for offering comfortable transportation services. Choose us for your taxi/shuttle & airport transportation needs. Day or night we offer convenient 24 hour service. Fully insured and licensed with the city of Oneonta, New York. Background checks and licensed drivers. Smoke free and clean vans. Need to travel from one place to the other in the city of Oneonta and Cooperstown, NY and it's surrounding areas of Otsego and Delaware County? Whether it's a short trip or long distance, opt for a safe and reliable ride with Absolute Taxi and Airport Transportation. Our primary location is: 83 Lower River Street, Oneonta, NY 13820 USA. "Taxi/shuttle service/airport transportation at a affordable price."